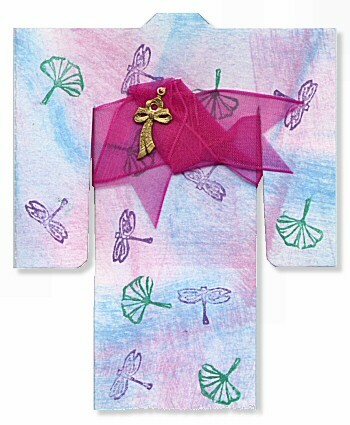 This template makes card that folds like a Japanese kimono. The finished card measures 5 x 4 inches. Cut on solid lines. Score on dotted lines. Decorate both sides of the card. Fold in the left side first, and then the right. 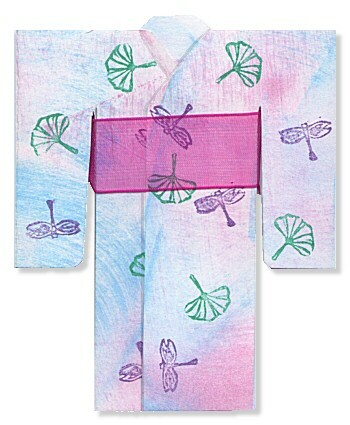 This is the way that the kimono is traditionally worn. Tie a piece of decorative ribbon around the middle as an obi (sash), and make a nice bow in the back.